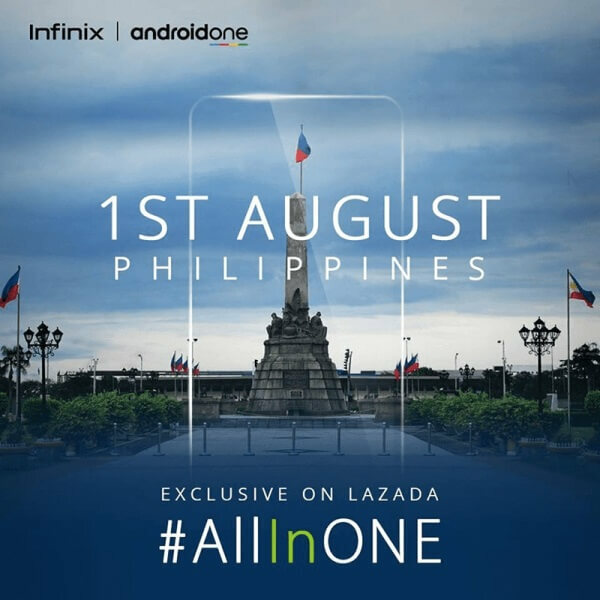 Home Infinix Mobility Lazada News Smartphones Infinix Note 5 Is Coming to PH! Infinix Note 5 Is Coming to PH! Infinix recently announced that its latest smartphone – the Note 5 – is coming to the Philippines on August 1. As a recap, the Note 5 sports a 6-inch panel with TFT LCD 2160 x 1080 display. Under the hood, it is powered by Helio P23 octa-core processor clocked at 2.0GHz, and is paired with Mali G71-MP2 graphics. The phone can be coupled with up to 4GB of RAM and 64GB of internal storage, which is expandable via microSD up to 128GB. Jumping off to its cameras, the device is loaded with 12-megapixel rear shooter and 16-megapixel selfie snapper. It boasts a huge 4500mAh battery to accompany users on their daily mobile tasks, too. The device is running on Android One. See Also: Infinix Hot 6 Pro X608 Now Available; 18:9 Screen SD 425, Dual Cameras and 4000mAh Battery for Php6,499! Meanwhile, the Infinix Note 5 will be available at Lazada Philippines on August 1. There are no words yet about its official pricing. So, stay tuned! We’ll update you as soon as the phone arrives in the country!